Craig Y Nos Castle01639 731167work Guest AccommodationWINTER TRADING Please note Winter trading B&B only days are Sunday to Wednesday inclusive. Winter Trading Months are October, November, first half of December, and January, February and March. April may also have winter trading days if it is quiet. This means that we do not serve evening meals, unless we have a large number of guests or you are staying as part of an event. Craig Y Nos Castle stands in the Brecon Beacons National Park in the Upper Swansea Valley in South Wales, UK. It has been transformed into a quality hotel with accommodation and reception facilities for weddings and conferences. With its stunning location and the carefully preserved ambiance of a Welsh Castle Craig y Nos offers visitors a unique experience, whether it be just enjoying an overnight stay, or as a guest at a major function. Craig Y Nos Castle was the imposing home of the famous opera star Adelina Patti and it is now largely restored to its former glory which, set against the backdrop of the park, makes it the ideal base for walkers, photographers, and other visitors to the area. Our accommodation includes family rooms and apartments that sleep up to 6 people and for a mid week stay (Sun – Thurs). Based on 2 people staying midweek the cost is £123 per night and our weekend rate (Fri – Sat) is £143.00 per night. Family Rooms are from £170 midweek to £190.00 weekends. Our “Nurses Block” accommodation has 11 non en suite rooms with ample shared bathroom and shower facilities. There is a large lounge with sofas, T.V and adjoining kitchen. Ideal as a self contained house for large groups or families wanting to relax together. 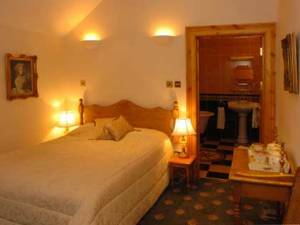 These rooms are £67.50 per room per night (Sun - Thurs) and £87.50 per room per night (Fri-Sat). We also offer different rates when staying in the Nurses Block on a Self Catering Basis. WINTER TRADING Please note Winter trading B&B only days are Sunday to Wednesday inclusive. Winter Trading Months are October, November, first half of December, and January, February and March. April may also have winter trading days if it is quiet. This means that we do not serve evening meals, unless we have a large number of guests or you are staying as part of an event. Please check our restaurant for availability when booking as depending on Events booked, it may not be open. Children welcome from any age. From the North: Head South to the A 40 which, running East/West , connects Brecon and Llandovery. Half way between these two towns (around 10 miles from each) the A 4067 joins the A40 near Sennybridge. From the South: Follow the A4067 South towards Swansea for around eleven miles (18 Kms). Follow the A4067 from junction No45 on the M4 to Craig-y-Nos Castle, a distance of around 16 miles ( 25.5 Kms). The castle is on the right.